Direct mail is one of the most powerful marketing tools for your Syracuse, NY business or event. One of the biggest keys to success is having marketing collateral that not only looks good, but will also get your prospective customers to respond. With a high open rate, postcards are a great way to get your products and services in front of current and potential customers in Syracuse, NY and beyond. We know you’re busy and we want to help save you time and energy, Let us print, address and mail your postcards for you. 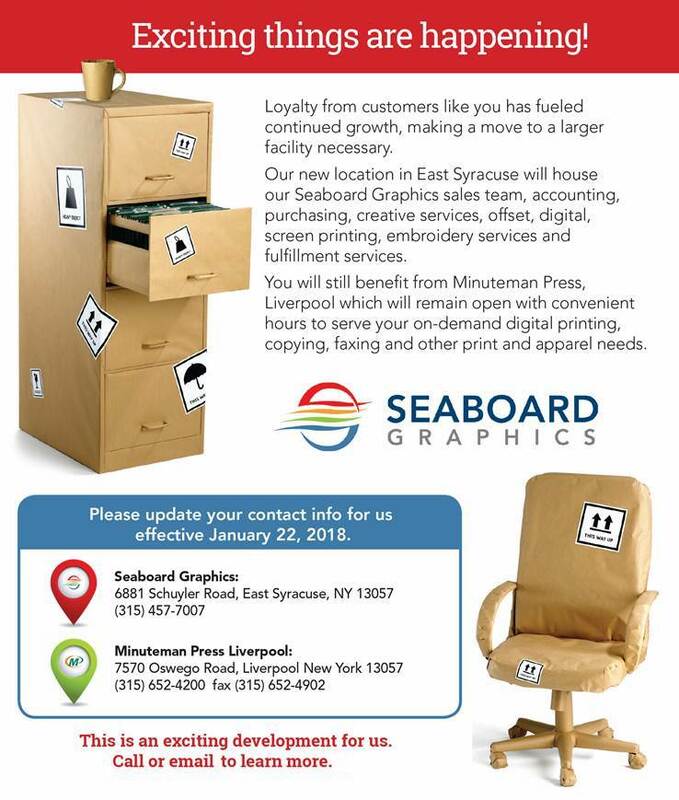 To find out more about postcard printing and direct mail services in Syracuse, NY through Seaboard Graphics, call us at 800-721-1663 or fill out this convenient online form and we will be more than happy to help.